largest and most successful airline. Passenger and air freight numbers have grown year by year and it seems that there is no end in sight. Now ET and DHL seem to set up a joint company. time loaned the DC-3 aircraft to Ethiopian. Ethiopian Airlines received their first modern B777-200LR aircraft. hub and Africa’s most important gateway. types along with 24 B737s and 21 Bombardier Dash 8s which serve various African regional routes. B757 freighters which are used mainly for inter-African air cargo distribution. 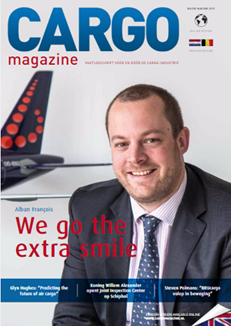 What started as the transport of fruits and vegetables to Europe, has quickly grown into a freight organisation which carries all types of air cargo to and from Addis. Is e-commerce distribution the next step? 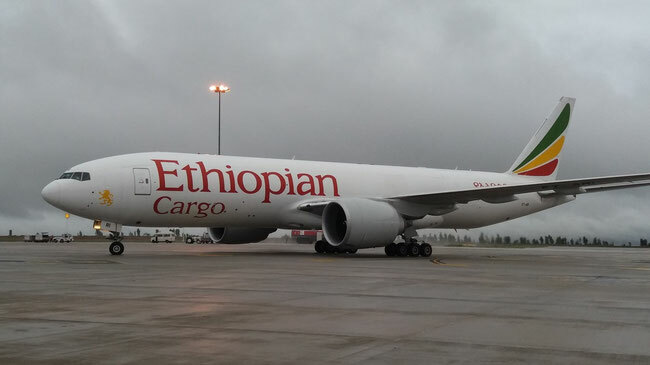 It was recently announced by ET’s CEO that a joint venture is expected to be sealed this month between Ethiopian Airlines Cargo & Logistics and DHL which is aimed at setting up a new company. It is said that DHL will hold 51% and Ethiopian 49%. Both companies already work closely together for many years and DHL contributes more than US$50 million of Ethiopian’s cargo revenues. guiding hand of DHL, Ethiopian can develop Addis Ababa and maybe one or two other locations into e-commerce distribution centres – then the future for ET cargo looks even rosier. The recent and unexpected peace move between Ethiopia and Eritrea, if it holds, will also open up new avenues for the carrier as it would then give Ethiopia and Eritrea new markets. Be the first to comment on "Ethiopian Gears Up for African e-Commerce Scene"